We believe good architecture results in beautiful and high-performing buildings. The Rewania outlet was elegantly composed and conceived using unique spatial concepts. 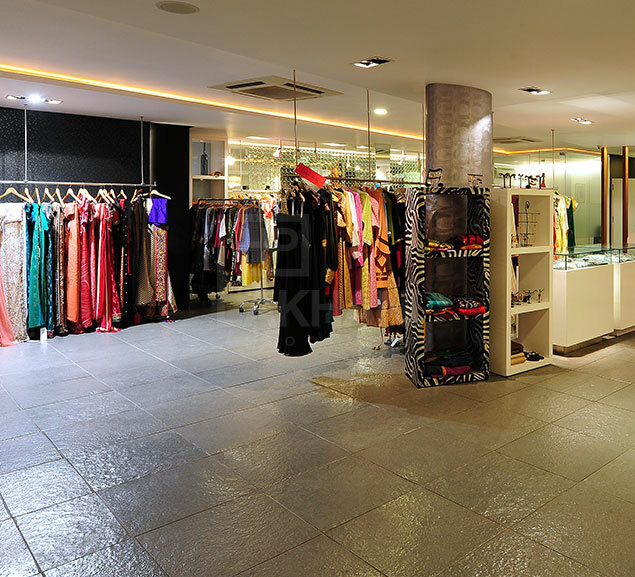 This elite designer boutique showcases exclusive fashion labels, shoes, bags and accessories. 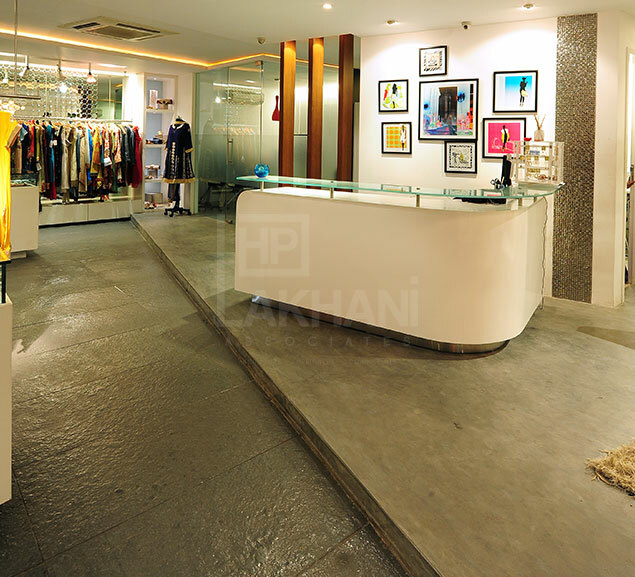 We embarked on creating a perfect canvas of a neutral monochromatic color scheme and apt lighting so the display of colorful, beautifully crafted garments and accessories were sensationally highlighted. 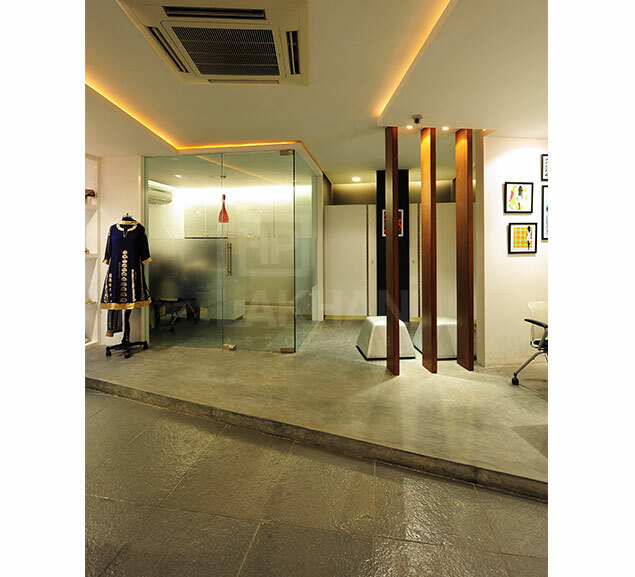 We added round motifs in the reflective panes and the false ceiling adding an aura of sensual and feminine charm to the space. 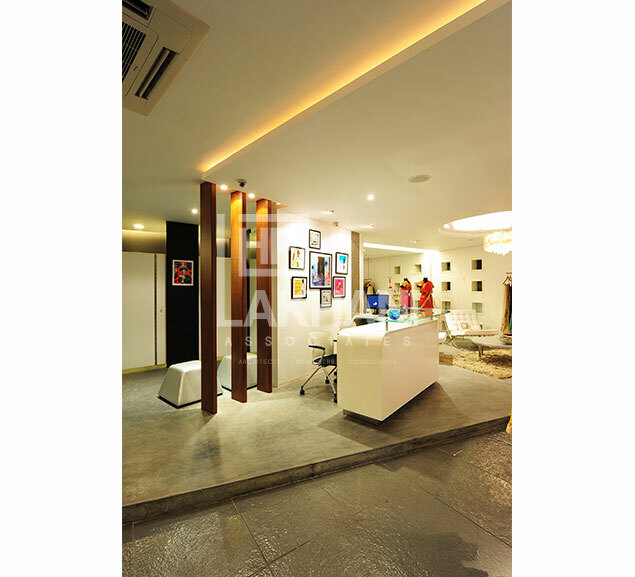 Intuitive placement of the boxes helped us achieve a room-inside-a-room concept thereby stimulating the visitor to walk through the store’s inventory. With this design, short simple shapes, clear lines and complementing materials, were our defining prerequisites for the interiors of the flagship store, Rewania.